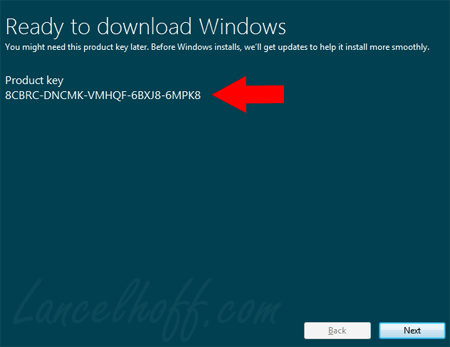 With Microsoft’s release of its Windows 8 Consumer Preview ISOs, you are probably wondering where to find a Product Key so that you can take this new operating system for a spin. When I downloaded the official Windows 8 Consumer Preview ISO and copied the ISO to a Flash Drive via UUI -> Install Windows 8 from a Flash Drive, I rebooted proceeding to run the Windows 8 installer, but didn’t get far before being asked for a Product Key to continue. As it turns out, you need an Official Windows 8 Product Key to take this new OS for a test drive. 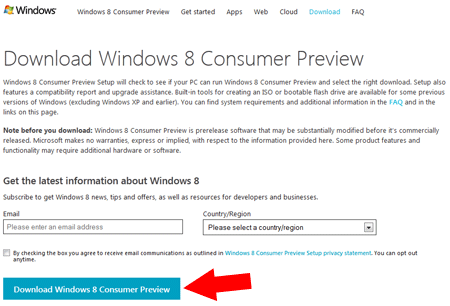 Luckily there is a means to easily obtain your product key via the use of Microsoft’s Windows 8 Consumer Preview Setup Tool. The Windows 8 Consumer Preview Setup Tool will first check the PC it is run from for compatibility, then click Next and you will be provided with a product key to use. At this point if you already have an ISO, simply close the window. Note: The product key pictured in this screenshot is real and may work for you too!